Arms Control Surfaced In Helsinki, But It's Likely Just Talk The U.S. and Russia still inspect each other's nuclear arsenals and have sharply curtailed the number of weapons poised to launch. That's thanks to two arms control treaties, which are now at risk. 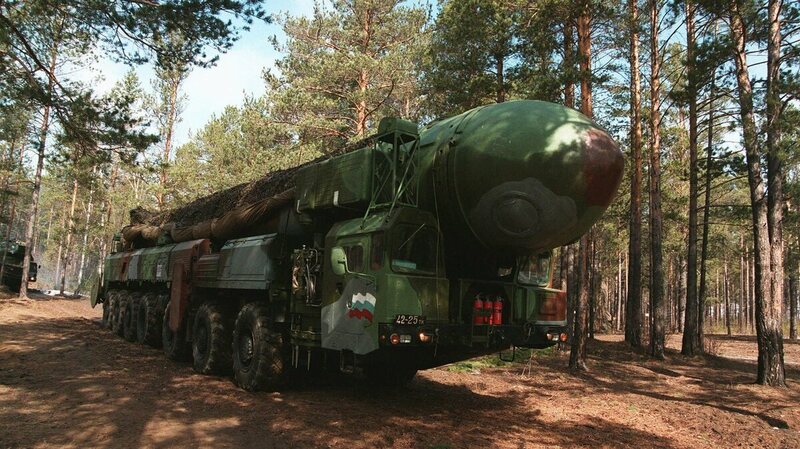 A Russian intercontinental ballistic missile is moved during military training in the mid-1990s near Irkutsk, Siberia, Russia. Arms control has been at the center of a decades-long discussion between Russia and the U.S.